All of the benefits of IMV’s ECO system can also be achieved by replacing the old system amplifier with an IMV ECO-amplifier, same energy saving, same low noise operation, same advanced service support, same increase in system performance. 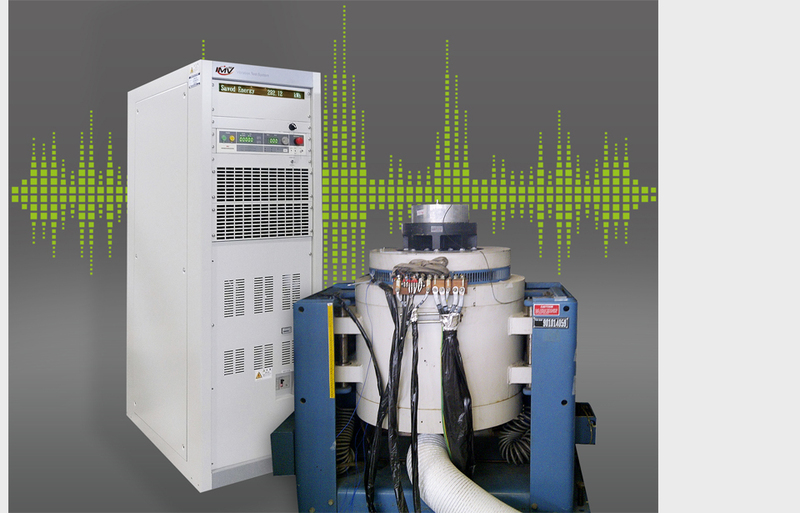 As the vibration industry matures, there are many installed shaker systems around the world. Shakers are typically manufactured from custom parts and can be continuously maintained. Armature coils and field coils can be re-wound, suspension and guidance parts can be replaced and if well cared for, a shaker can continue to run for many years. Conversely, amplifiers used for vibration systems are built from standard electronic parts and these parts are made obsolete by the electronics industry, typically after 10 to 15 years. It therefore becomes increasingly difficult to maintain and support an amplifier. To preserve the investment in the well-running shaker and keep the system running, replacing the amplifier has been increasing in popularity. With IMV’s ECO-amplifier technology, this replacement amplifier programme can bring exactly the same benefits of energy saving, low noise operation, improved service support, high shock velocity capability, and so on as experienced with IMV’s ECO-systems. IMV’s replacement ECO-amplifier can also be used with several shakers. Since the field and blower are completely controlled by the ECO amplifier, then a single ECO-amplifier can be adapted to a variety of shakers. Two existing but different shakers for different applications. Install an ECO-amplifier and switch between two (or more) shakers, the field and blower are adjusted to suit the requirements of each shaker.